"What did one toilet say to the other?" "You look flushed!" Happy April Fool's Day! Check your faucets for drips or leaks. Check all your toilets for hidden leaks by adding six drops of food coloring to the toilet tank. If the toilet is leaking, color will appear in the bowl within 30 minutes. Inspect tank and bowl for external for cracks or leaks. Clean mineral deposits from your shower head. Unscrew it and soak in vinegar or fill a plastic baggie with vinegar; place it over the shower head and hold in place with a rubber band. Soak overnight then remove and gently scrub with an old toothbrush to remove deposits. With these simple tips, you can lead a (hopefully) pain free spring with no plumbing issues. If you find yourself with plumbing problems you cannot solve yourself, give us a call! Start with your windows. Nothing makes a home shine brighter than clean windows. Let that natural sunlight stream in through your fresh clean windows! Clean all linens and towels. Start the season with clean sheets, towels, blankets, etc. Be sure to ditch anything stained, ripped, or otherwise ruined. While you're cleaning your bedding, add some spring colors to your palette to brighten up your room. Clean out your fridge. This is generally a neglected task, but a very important one. Make sure you deep clean now to make room for all your cookout essentials - burgers, hotdogs, watermelon, summer refreshments and more! Deep clean floors, carpets and rugs. From bringing in snow and salt on your boots your floors have been through a lot. Start the spring season with fresh floors and rugs underfoot. Get your AC unit checked. This is important! 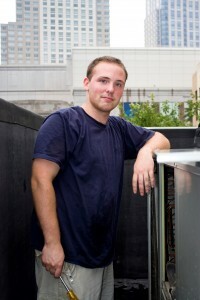 You don't want to learn on during a sudden hot day that your AC is not working, or not working efficiently. We can help you! Call us today for your spring inspection. We will make sure you are in good working order for the upcoming season. cations, making sure it doesn’t fall below its rated capacity is very possible. The answer to how to make your air conditioner run colder comes down to a few simple DIY steps. Keep the outdoor condenser coil clear of dust and debris. Cut off electrical power to the unit at the main switch or breaker box and use a garden hose to wash leaves and dirt accumulation off the coil inside the outdoor cabinet periodically. Also make sure weeds, shrubbery or other vegetation are not blocking the cabinet air vents. Put in a new air filter every month during cooling season. Filters are inexpensive, and the increased household comfort and energy efficiency gains are worth every cent. If you don’t know the location of your filter and/or how to change it, ask us to show you how it’s done. Find and fix air leaks in your home. It’s not rocket science — it’s caulking and weatherstripping. Gaps and cracks in the structure allow heat energy to infiltrate during summer (and escape in winter.) Gaps around the movable surfaces of doors and windows can be closed with adhesive-backed weatherstripping tape. Cracks where walls meet the ceiling and floor, as well as air leaks where plumbing pipes, electrical conduits or vents enter the structure can be filled with caulking or expandable spray foam in a can. Ask us for more advice about how to make your air conditioner run colder this season. We hope everyone stays cool! With the season about to (hopefully) transition, we wanted to offer a few tips on how to know if your pipes are healthy. The “Water is Your Business Campaign,” sponsored by the National Association of Water Companies and the U.S. Chamber of Commerce, reports that there are 650 water main breaks per day in the U.S., resulting in a daily loss of 7 billion gallons of water. The results of a residential water pipe break can have a serious impact on homeowners’ properties and their wallets. Here are some questions you need to ask (and find answers to): 1. What is the age of my pipes? The average age of a broken water main in the U.S. is 47 years. Knowing the age of your pipes will help you to assess their need for repair.The vast majority of the nation’s water pipes were installed after 1940 and are in serious need of replacement or repair. A 2010 report from the National Association of Water Companies and the U.S. Chamber of Commerce stated that nearly half of all pipes in the U.S. were in poor shape. 2. Do I have mature trees near my water service lines? Invasive tree roots often disrupt service lines. Roots seek out pipes because they provide essential elements that trees need to grow - water, nutrients and oxygen. When tree roots get into pipes, they can cause clogs and blocks that lead to serious problems and need for repair. 3. What kind of soil do I have? Poor soil conditions - such as low soil resistivity and high chloride content - can cause corrosion of pipes from the outside, and lead to leaks and contamination. Sandy soils are among the least corrosive, and clay soils are among the most. Corrosive soil can start attacking your pipes almost immediately, with corrosion building over time. This means that although your pipes are already being invaded, you might not experience a leak or break until much later. 4. Have I been ignoring the warning signs? Many times, it’s the small things we overlook that may signify a pipe issue. Something as simple as cooking frequently in the kitchen can lead to continued grease and food disposals building up over time in the sewer and drain lines. A stammering faucet can be an indication that a water line is leaking. And, a clogged toilet or slow drainage can signal to you that the sewer line is clogged. All of these signs could point to a sudden and potentially costly repair. Detecting these easy fixes and taking care of them can save you from potential problems. 5. Do I live where the seasons suddenly change? Water lines are more susceptible to breaks at times of extreme temperature swings, both hot and cold, which we often experience in Richmond. Pipes become brittle when water temperatures dip below 40 degrees, while air temperatures below freezing cause the ground to freeze. However, water main breaks often don’t occur until one or two days after the freezing temperatures arrive because water temperature takes more time to decrease than air temperature. 6. Do I know what my pipes are made of? Older pipes were generally made from clay, steel or tile – materials more prone to deterioration over time. If your home was built before the 1980s, it is mostly likely that your pipes are made of clay, and in need of repair or replacement. Asking yourself these simple questions can help you plan for potential problems. Do you think you are at risk? Give us a call and we can help! Early prevention can save you money and hassle. Spring is just around the corner and with that comes spring cleaning, gardening, and for some, the purchase of a new home. Whether you are a first time home buyer, or done this plenty of times before, there are certain things you should look for and do when purchasing a new home. 1. Check out the roof - Before you set foot inside, check out what’s happening on top. Does the roof look relatively new or is it caving in? A newer roof could mean a lower homeowners insurance rate (always great). Likewise, a roof made of an especially sturdy material is better equipped to defend against wind and hail (and can save you from a potential claim). 2. Don’t judge a room by its paint job - When you step inside your prospective abode, focus on the structural stuff — aging appliances, loose wires — and tune out any freshly painted walls or upscale decor. You can always change the paint, but it is much harder to change the bones of the house. 3. Take its temperature - When you’re buying a house, keep in mind: if it looks rickety or old, it probably is. 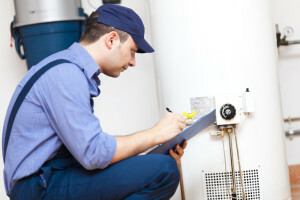 Heating and cooling systems are expensive to fix and replace, and inefficient ones can eat away at your utility bills. Make sure the furnace is up to date and in good repair. If it's not, call us for an estimate on how much it will cost to replace and factor that into your costs. 4. Decide on your dealbreakers - Aside from the basics, like quality windows and countertops, think about the purpose of your home and the requirements for your lifestyle, like storage for a large book collection, a big backyard for barbecuing or a basement for sports equipment. 5. Plumbing: what lies beneath - When you’re poking around a new home, don’t stop at eye level — get underneath the sinks and examine those pipes. Check for leaks, water damage and mold. We can come out and do a home inspection for you to assess any damages or potential hazards to your plumbing. 6. Check out the land beforehand - Don’t just look at the building — examine the area around it. Is the house in an area prone to flooding or wildfires? Is the driveway shared with another property? If there are fences, have they been built and positioned properly? It’s a lot to take in, but when you buy a house, you can’t ignore its surroundings. 7. Stop and smell the roses (and more) - Do you smell sewage, gas, or anything equally unpleasant? Sewage systems in older homes can sometimes get clogged or damaged by tree roots. Also worth noting: pet odors, cigarettes, and mildew. 8. Invest in a well-insulated house - Above all else, your home should be comfortable. Check the attic, water pipes, and heating ducts to make sure they’re properly insulated. 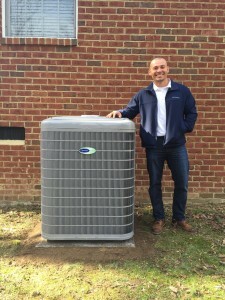 This can reduce heating and cooling costs and keep you comfortable in summer and winter. Double-paned windows can also save you money down the road. Plus, they can help soundproof your place from outside noise. This is also something we can look at for you. 9. Get your hands on everything - Turn on every faucet and light switch, open every window and door, flush the toilets, even taste the water. Buying a house is a big step — maybe one of the biggest — and you need to know how everything works firsthand. That way, you can address problem areas and see if there’s a cost-effective solution. 10. Have a home inspection done - There’s only so much you can do with your own 5 senses. You’ll also want to enlist a professional to ensure the foundation is solid and the wiring is up to code. Home inspectors can even check for lead paint and wood-eating pests. We wish you luck in the search for your dream home! If you need us in that search, give us a call.